Debugging is an important skill to develop as you work your way up to more complex projects. Seasoned engineers have a sixth sense for squashing bugs and have built up an impressive collection of tools that help them diagnose and fix bugs. 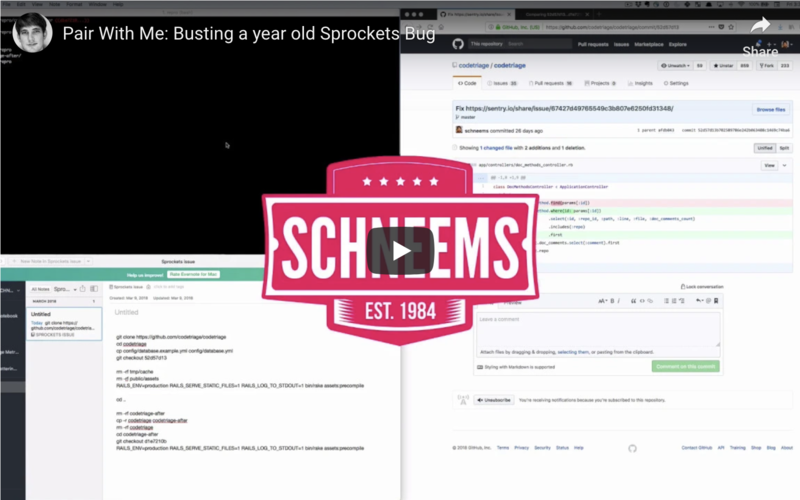 I’m a member of Heroku’s Ruby team and creator of CodeTriage and today we’ll look at the tools that I used on a journey to fix a gnarly bug in Sprockets.